Canadian Tire is preparing to release its full-year numbers on Thursday. On the day Canadian Tire Co. Ltd. released third-quarter results in November, investors rewarded the one-two punch of earnings expectations being exceeded and a dividend hike by sending the shares up 12.5 per cent at one point. But in the days that followed, the stock gave back those gains. That suggested there was more to the numbers than meets the eye. Now, as Canadian Tire prepares to release its full-year numbers Thursday, we have a possible explanation, courtesy of the analysts at Veritas Investment Research. Veritas, like many, is concerned about Canadian Tire’s online competitiveness. 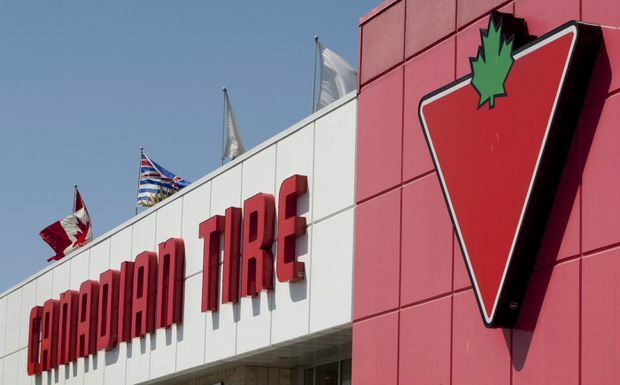 The truly original insight behind its “sell” rating, however, is how Veritas has flagged the number of earnings-boosting accounting decisions Canadian Tire has made in the last year. The biggest is the implementation of a new accounting standard, IFRS 9, which we typically hear about in the context of Canadian bank earnings. However, Canadian Tire’s Financial Services segment, which includes the credit it extends to its customers, now accounts for nearly 30 per cent of the company’s profits. The new accounting rule, at the risk of oversimplification, requires lenders to make new estimates of expected losses in their credit portfolios. And companies had to take those new estimates and apply them to their entire existing portfolios, not just the loans they were making going forward. The good thing: Accounting standard setters allowed this lookback, which could have been a massive charge to earnings, to occur largely out of sight. Companies were able to take the hit on the balance sheet as a reduction to retained earnings, with none of the adjustment occurring in the income statement. If that initial estimate of losses didn’t come true, however, the difference between the projection and the reality would indeed appear in earnings. Bad news for companies whose forecast was too low, for they’d have to take the higher losses in full view. For companies that were too conservative in that initial estimate? Well, happy things would flow through the income statement. And now we get to how all this is shaking out at Canadian Tire. See where this is going? Just about a year ago, as it implemented the new rule, Canadian Tire said it would move its allowance rate for losses in its credit-card portfolio from 2 per cent to a range of 11.5 per cent to 13.5 per cent. By comparison, Veritas analysts Kathleen Wong and Anthony Scilipoti note that Canadian Tire’s write-off rate hit a financial-crisis peak of 7.8 per cent in 2009. Canadian Tire spokeswoman Joscelyn Dosanjh said the company preferred not to do an interview prior to Thursday’s earnings. She provided past disclosures and added that the changes in accounting policies or estimates "are made to improve the quality of reporting. ... Of course any such changes are vetted and approved by our external auditors.” Deloitte LLP, the company’s auditor, declined to comment. And a footnote in the company’s most recent report shows that newly acquired outdoor-retailing imprint Helly Hansen, which rang up great third-quarter numbers, actually lost money in the first half of the fiscal year. While an off-season loss is not necessarily unusual for a retailer, Veritas says that in conversations it had with Canadian Tire, “management indicated that non-operational adjustments negatively impacted” Helly Hansen’s earnings in the second quarter. Adjustments like that, Veritas notes, can get quietly reversed afterward, boosting future earnings. It all should add up to a healthy dose of skepticism Thursday when Canadian Tire closes out its year. It’s possible the shares will jump on good headline news – but it may take a little extra time to, as Veritas has punned, kick the tires at the company.